- Hyperglide (HG-X) series 10-speed directional Dyna-Sys compatible chain for use with 10-speed MTB drivetrains. - HG-X Chain uses a directional design with specifically shaped inner and outer plates to optimise shifting over the chainset and cassette. - Open design of inner links increase mud shedding ability. 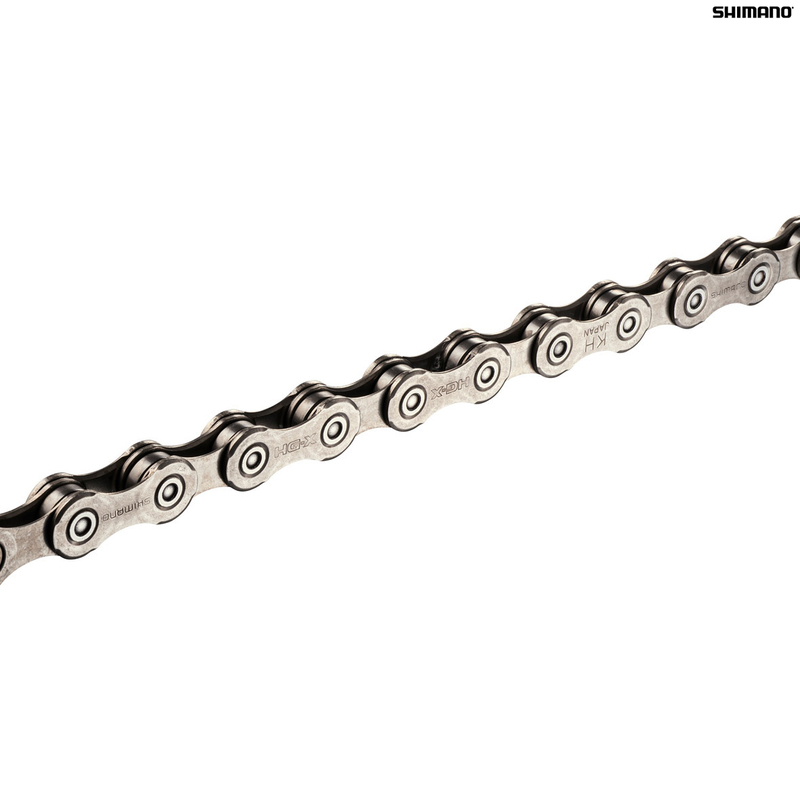 - Chain is optimised for Shimano 10-speed HG-X MTB drivetrains only. - Sil-Tec surface treatment technology (PTFE plating) that is smooth running and increases durability. - Corrosion-resistant Zinc-alloy plating and grey finish on inner and outer plates. - 114 links, 273 grams. 116 links or 114 links? In the product heading it says 116 links, but in the description detail it says 114 links. Which is correct? I need 116 links for my Thorny Club Mk4 with ultra-wide gearing.